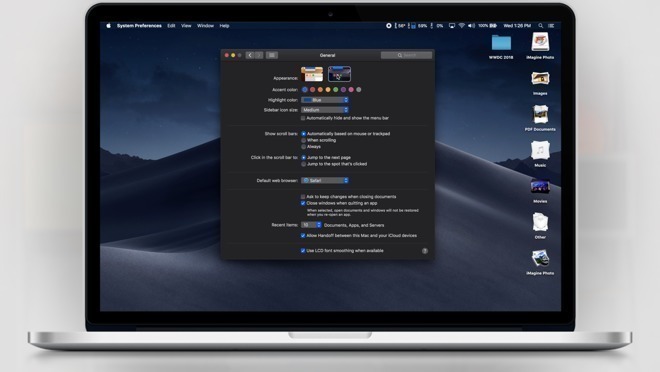 The latest builds are available to download from the Apple Developer Center, but those who have previously installed the macOS 10.14.1 beta can also upgrade by going to using the "Software Update" facility in System Preferences. A public beta release is usually available shortly after the developer version, via the Apple Beta Software Program website or via the same Software Update feature. The third macOS 10.14.1 Mojave build is 18B57c, replacing the second beta's build of 18B50c. Relatively few details have been provided by Apple of what the update contains, but the biggest feature is arguably the return of Group FaceTime. Pulled from the betas before iOS 12 and Mojave's releases before being reintroduced for testing, Group FaceTime allows for up to 32 people to be involved in the same video conference. Apple is also introducing 70 new emoji, which is largely to be included as part of iOS 12.1, but will also have to be added to Apple's other operating systems, including macOS. AppleInsider, and Apple itself, strongly advise against installing beta releases on mission-critical hardware, due to the possibility of data loss and other issues. Those interested in testing the betas out should use non-essential devices, and to keep backups of any important data before installing or performing updates.